“When I was 12 years old, a family friend who was a podiatrist made me orthotics that made a major difference in the way my feet felt. That started me thinking about this field – where you can make a positive difference in someone’s life very quickly and often quite easily. I enjoy being able to use high technology such as the Mini-C-arm video X-ray machine, diagnostic ultrasound and lasers. I think it is incredibly cool to use my skill with modern tools to solve age-old problems such as fungus toenails. 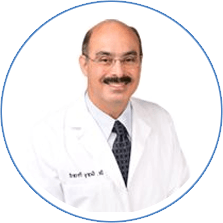 “I like spending time with my patients, giving them plenty of time to explain their problems without me interrupting. I am an active listener, and I believe that a patient will reveal the answer to their problem if you listen carefully. I believe that many foot problems are caused by mechanical issues involving the interface between foot biomechanics and shoe mechanics. I consider each person’s lifestyle, work and other activities very important to their selection of shoe gear. “I hope to give my patients not just immediate relief from their foot problems but rather a long-term strategy to avoid problems in the future. Every day I see patients with problems that have been difficult to diagnose, and I am able to identify those problems and resolve them. Paula began working at Arbor Foot Health Center in 2004. She has nearly 10 years of experience working in medical care. She assists with procedures, tapes feet, performs X-rays and treats patients with care. Beth grew up on Long Island and lived in California for many years before moving to Austin in 2001. She and her husband love to travel. Beth also enjoys quilting with her twin sister. They have two cats have been married 40 years.